A couple years into our homeschooling journey, I started doing math on three different levels. Maybe some kids do well with doing math on one level, but my kids have needed a three-pronged approach to math especially during the elementary years. I’ve had my kids move forward conceptually while still learning math facts. Some kids might pick up their facts quite easily through doing everyday problems in their math curriculum, but others might need focused study with games, flashcards, drills, or other activities. With visual-spatial learners in the house, I found it to be essential that I separate math facts practice from conceptual math learning. We have also practiced mental math skills along with our main elementary math curriculum, but we’ve typically been a step or two behind our main curriculum. Once math facts are solid and mental math skills are strong, we drop them and spend more time on our main curriculum or on living math. This is where we spend most of our time. I’ve chosen curriculum that focuses on conceptual understanding rather than one that focuses on teaching standard algorithms. We have liked using Singapore with the Challenging Word Problems books. After Singapore my boys graduated to Art of Problem Solving math books. I like to introduce mathematical concepts through living books and videos. These concepts are ones beyond what they are learning in their math curriculum. This introduction to math has helped deepen their conceptual understanding so that when they encounter the concept in their math curriculum, it is easier for them to understand. I highly recommend Numberphile and Vi Hart videos for older elementary+ kids. This school year my former math-hater expressed a great liking for math. The Numberphile and Vi Hart videos are a big part of that. These videos are made by people excited about math. My youngest child is enjoying the Cyberchase series. Living math books are also part of the mix. I read aloud some living math books when my kids were in early elementary and when a little older, my kids have done some independent math reading. Some favorites have been the Number Devil and Murderous Maths books. While not a living book, I also tried using a science textbook with quite a bit of math in it. At the time, this math was beyond my son’s math skills. We worked through the problems together in the context of his great love for science. He learned math and saw how important it was to science. Living math has been my children’s most enjoyable time spend in math. It is a time of exploring concepts and ideas – a time of enjoyment. Sometimes it is snuggling together as I read a book and sometimes it is watching an interesting video. It might seem time consuming to broaden the scope of math to cover living math in addition to our standard math curriculum, but I’ve found that my kids tend to move through their main math curriculum quicker because they have had previous exposure to the topic. We have had time periods where we have taken a bit longer than the standard amount of time to complete our main curriculum due to all the extras. We have also had time periods where the main curriculum needed to be compacted and accelerated. All in all, I’ve found that it works out time-wise. Have you done math on more than one level? 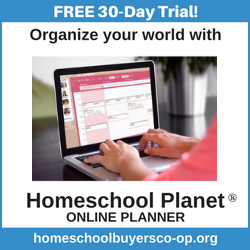 I’d love to hear how it works for your homeschool. homeschool math, living math, math. Bookmark. I’d like to do this, and we have incorporated living math books into our regular math curriculum….the problem I have is finding the time for it all. Do you alternate different ones per day or maybe 2 of them per day or all 3? I’ve just been alternating weeks. Some weeks we do curriculum, some weeks it’s just reading living books. We don’t do math drills anymore, but I’d Iike to include that, we were using some ipad apps for that, but my kids get overwhelmed if they have a big checklist of things to do each day, so we have very short list of “required assignments” per day. One math, one language arts, one science or social studies, one foreign language, etc. I love this post! Was wondering which Living Math website you were talking about in the comments? Also, do the Numberphile and Vi Hart sites have a directory of movies by topic? And are they videos to buy or are they on YouTube? Thank you! The website is http://www.livingmath.net My boys watch Numberphile and Vi Hart videos on Youtube. It might be easier to search for videos by topic on the websites though. I’ve not seen them listed by topic, but it is easier to view what is available that way. That’s pretty much what I do, too, though I hadn’t really outlined it quite like that. I run a homeschoolers’ Math Olympiad team also for part of your “Highest Level” and I don’t actually use textbooks much at all for elementary level math. I like Singapore, but I find we don’t really need it. I’ve never heard of the Living Math books before but I think they’ll be perfect for my son! We try to do different levels too, especially going back and touching on the basics frequently, it seems like that is the most important!